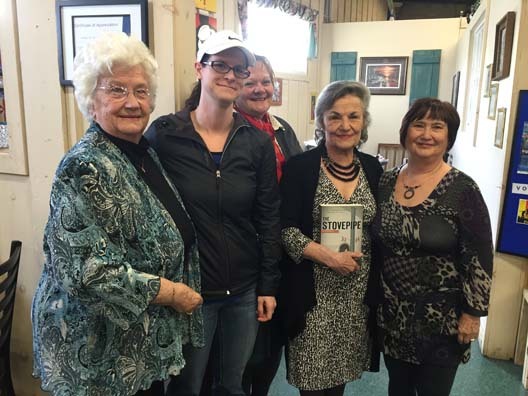 On Saturday, March 19th at Kerry’s Eatery in Waterford, we were honoured to hear Bonnie’s and her twin sister Betty’s compelling story of being in foster care in Norfolk County in the 1940’s. All of their experiences are captured in Mrs. Virag’s book, The Stovepipe. In the picture is Betty, Carrie, Marilyn, Bonnie and Susan. The foster care recruiters organized the event and the theme was “Foster Care, Then and Now”. Thanks to everyone who came out to support the event.